The hottest June and July on record! A Royal Wedding! England win a penalty shoot-out! Toblerone to return to its 'proper' shape! ...and GSC stage most popular open-air show to date! Yes it all happened in the last 10 weeks, and now with the dust settling (literally), our 13th open-air season has finally come to an end...what a wonderful experience it has been. Both Robin Hood and Love's Labour's Lost exceeded our expectations in so many ways. As football fever gripped the nation and the temperature continued to rise, the company went back into the rehearsal room for Love's Labour's Lost. 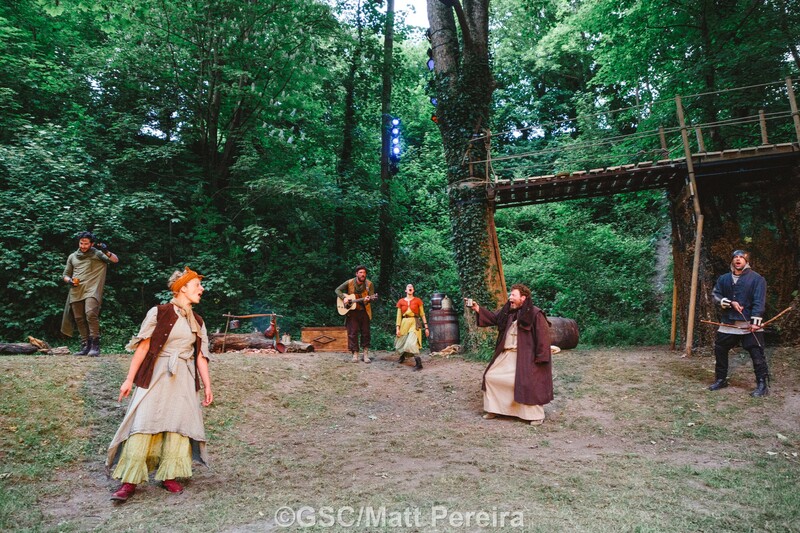 Considered by many to be a tricky, wordy play, in the hands of director Tom Littler and our brilliant cast, the play proved to be GSC's most popular open-air play to date - beating Much Ado About Nothing and A Midsummer Night's Dream. 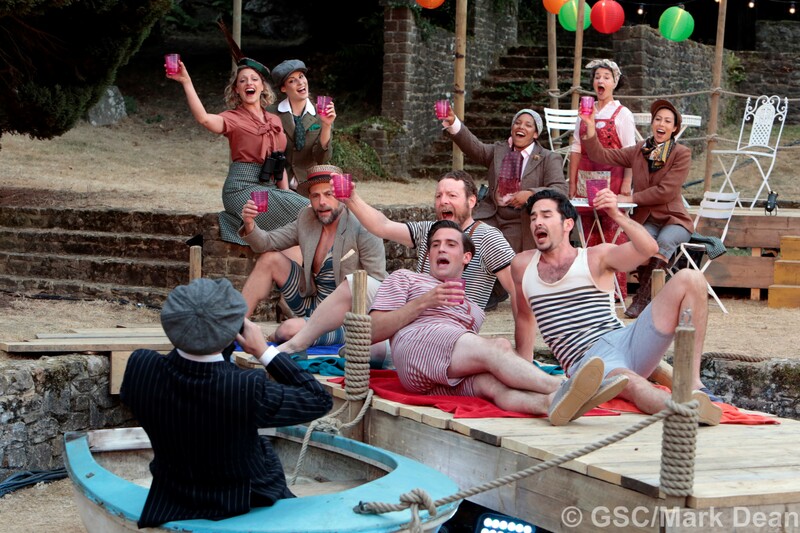 2853 people joined us at the University of Law for Shakespeare's dazzling comedy. Watching young and old laugh their socks off at Latin jokes whilst at the same being hushed into heart-breaking silence, is a memory we at GSC will not forget. 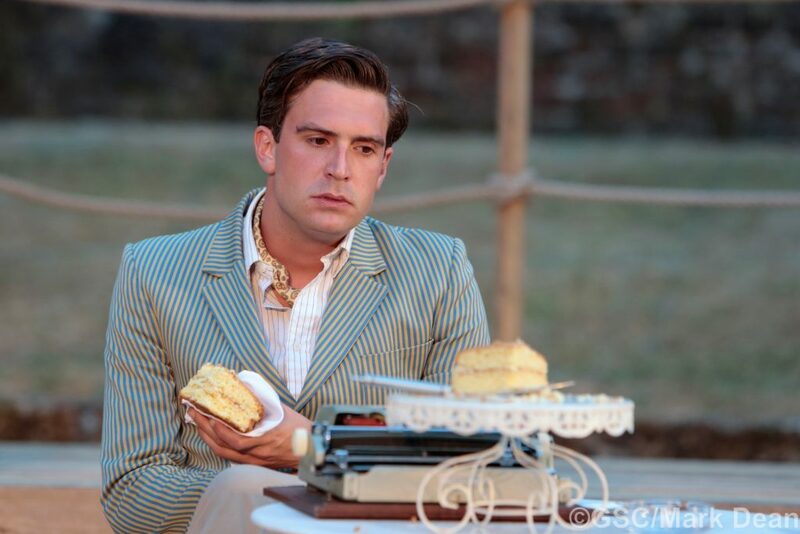 A huge thank you to the GSC Friends who supplied the 23 Victoria Sponges used in the run - a scene much relished by actors and audience! Over the course of the whole summer season we were also able to give 9 aspiring actors from our Young Company the opportunity to join the professional cast of Robin Hood; we made 60 free tickets available to mental health charity Oakleaf,Guildford Action, and social housing charity Riverside; whilst people continued to take advantage of our award-winning Audio Description service for Love’s Labour’s Lost. An enormous thank you to everyone who supported us this summer. GSC receives no core or local government funding, so 93% of this summer's £147, 475 budget had to be met through earned income - so whether it was buying a ticket, a drink at the bar, a programme, as a sponsor, a partner, or you just shared our numerous vlogs on social media - you have all helped ensure we can continue to provide great theatre experiences for everyone. Arts and sports can truly bring communities together, as this summer has proved time and again. We're now looking ahead to Autumn and the 2019 programme, but if you want to relive our last 10 weeks, visit the GSC Blog for photos, rehearsal shots, trailers, and comment. So until next time, in the words of Don Armado: "You that way, we this way." Absolutely terrific performances- loved every entertaining minute of both shows. LLL was my favourite though- hard to think of a Shakespeare production by any company that matched it. Thanks Jane – so pleased you enjoyed it!